Something I don't write about often here at Pawsitively Pets are horses and equine health and care. The reason for that is that most of my personal experience lies with cats, dogs, and exotic small pets. I have very limited experience with large animals, like horses. But, part of my "job" as a pet blogger is to bring my readers valuable information from experts. 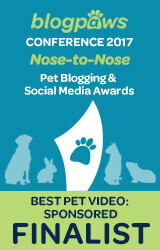 A few weeks ago, Dr. Ginger Reed VMD cVMA of Equipuncture in Austin, TX "virtually" introduced herself to me. 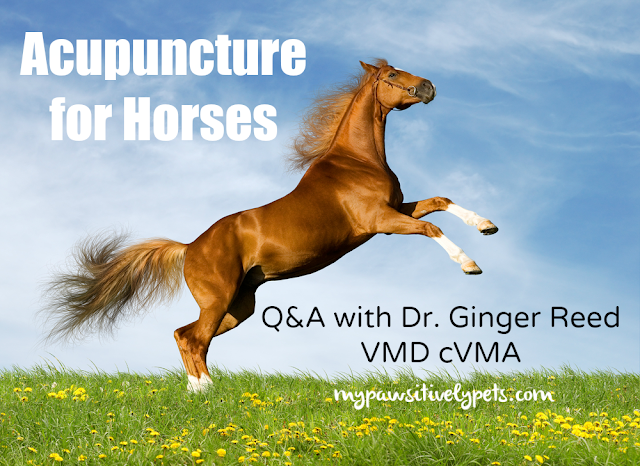 She is an Equine Veterinarian that specializes in acupuncture for horses. Her clinic is mobile, which means she travels to her patients. This saves her clients time travelling and allows her to work on her patients in an environment where they are already comfortable. "I think I was born wanting to spend my days playing with horses! As a kid, that's pretty much all I did – if I wasn’t at school, I was probably in the barn (or off somewhere pretending one of our Labradors was a horse). As I got older, I assisted in managing a quarter horse training farm and I began competing more. Through these experiences I had a lot of exposure to a variety of smart and caring horse-savvy people, including equine veterinarians. I felt like I had found my calling – I’d get to spend my days outside helping horses with my dog tagging along in my truck (yes, yes and yes!). Dr. Reed snuggling an unwilling foal - this "little" girl was less than 24 hours old. At this point, I knew I wanted to be a horse vet – it was just a matter of getting there! So I headed to college in Washington, DC, and then returned home to attend veterinary school at the University of Pennsylvania. However, my first exposure to acupuncture in clinical practice wasn’t until my internship at Rood and Riddle Equine Hospital after vet school. I was really amazed by the benefits I saw first hand, and again it was like a light bulb went off in my head and I had to learn more. I enrolled in the Medical Acupuncture for Veterinarians certification program at Colorado State University and became a certified Veterinary Medical Acupuncturist. As I began using my new knowledge, integrating it with my western medical training into my daily treatment plans, the more I fell in love. When I relocated to central Texas with my family late last year I decided to use this opportunity of change to change my life and the lives of my patients. I started my own practice named Equipuncture – a practice based on a philosophy of integrative and individualized medicine, focusing on acupuncture and holistic medical therapies." I'll also admit that my knowledge of acupuncture is limited, so I had a lot of questions for Dr. Reed. How can acupuncture benefit horses? Is it for sick horses only? I learned from Dr. Reed that acupuncture can benefit ALL horses - not just horses that are sick. It's safe, non-invasive, and has minimal side effects. "Acupuncture can benefit ALL horses – young, old, athlete, pasture-ornament, sick, healthy. It’s kind of like asking if eating fruits and vegetables can benefit all people. Sure! To understand the benefits I think it helps to know more about what acupuncture is – simply, it’s the placement of very small, sterile needles into the body at specific points. These points are along channels known as meridians, and they correspond with important underlying structures – like nerves, blood vessels, and muscles. The needle insertion not only results in local changes near the insertion site, but also causes body-wide changes. Like what you ask? Well just to name a few – pain relief, reduced inflammation, improved circulation and healing, immune and metabolic regulation, enhanced nerve functioning, and relaxation of muscles. To me, it is amazing that one little hair-thin needle can cause these noticeable changes throughout the whole body, and it is equally as astounding that people knew this thousand of years ago!" Photo courtesy of Dr. Ginger Reed. What types of health conditions would you recommend using acupuncture for? While many people believe that acupuncture is good for treating pain, it can actually be helpful for many other conditions and health problems. Acupuncture may not be the sole answer to every health problem, but it can help. Dr. Reed uses acupuncture in conjunction with modern Western medicine. "People often assume that acupuncture is just used to treat pain – don’t get me wrong, acupuncture is wonderful for pain reduction, but there’s so much more to it! Acupuncture, in combination with the other branches of Traditional Chinese Medicine (TCM) including herbal medicine and food therapy, can be used for many of the same conditions* that we commonly seek out western medical therapies. But why pick one over the other? Instead let’s utilize both TCM and western medical advancements. Both have their strengths and weaknesses, but when combined they actually complement each other. My practice philosophy is to integrate acupuncture therapy with western medicine to maximize these benefits. *More specifically some of these conditions include: musculoskeletal problems, such as arthritis, back soreness, and laminitis; gastrointestinal disorders, such as diarrhea and non-surgical colic; neurological problems, such as radial nerve paresis; respiratory disorders, such as heaves; reproductive problems, such as infertility; and, chronic conditions, such as poorly healing wounds, anhidrosis, skin disease, allergies, behavioral issues, and immune and metabolic disorders. Not to mention its use for preventative medicine!" How do horses generally accept acupuncture treatments and how do they respond afterwards? How long does it take to see results? According to Dr. Reed, her equine patients truly enjoy their acupuncture sessions with her. "Horses are truly excellent acupuncture patients. You would think - huge animal, teeny tiny needle, what’s that going to do? But they are wonderfully responsive! My goal is to treat my patients with minimal restraint – to achieve this I move really slowly at first, gradually introducing needles and just feeling out each individual patient's tolerance level and needs. It’s not about the number of needles; it’s about improving my patients’ health, and sometimes that takes 3 needles and sometimes it takes 20. With each successive session, my patients become more relaxed – some are even borderline addicted, but hey it’s nice to be loved! 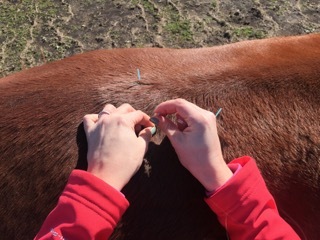 The response is almost immediate, from the first needle placed owners often comment on the changes they are seeing in their horse’s attitude and body. To really capitalize on these benefits, I usually recommend treating new patients more frequently, such as once a week for two to three weeks. After that, sessions can usually be spaced out. It all depends on the individual – there is no cookie-cutter recipe for acupuncture." How long does it take for a horse to receive an acupuncture treatment? Obviously, not all patients are the same. But Dr. Reed gives us a good idea of what one of her appointments with her patients is like. "An average acupuncture appointment takes about 60 minutes. The initial session is usually slightly longer, there’s a lot to do at this appointment. First we discuss the horse’s medical history and the client’s primary concerns or goals. Then I examine the patient, which includes a physical exam, acupuncture exam and other exams, such as lameness and neurological, as needed. Based on our discussion and the exam findings, I suggest a treatment plan, which often includes both acupuncture and western medical recommendations. Then we treat! Some needles stay in for 30 to 40 minutes, some will stay in for a few seconds – it all depends on the horse, the point, and the day." How does one become accredited to perform acupuncture on horses? Is it something that only a veterinarian can perform? And because I think it's important (and also interesting) to know who is allowed to perform these treatments on animals, I asked Dr. Reed about the process for becoming certified. And yes - only Veterinarians are allowed to perform acupuncture on animals in the state of Texas. "There are a few different veterinary acupuncture certification programs, and all of these programs require many hours of classroom learning, hands-on practice, and written and practical examinations to become certified. In the state of Texas, acupuncture is considered an alternative therapy and the Texas Administrative Code states that only licensed veterinarians are allowed to perform acupuncture on animals." And there you have it straight from the horse doctor's mouth! Special thanks to Dr. Reed for sharing her knowledge today. 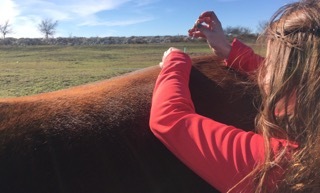 If you would like to stay connected with Equipuncture and continue learning about acupuncture for horses, you can follow Dr. Reed on Facebook, Twitter, and Instagram. 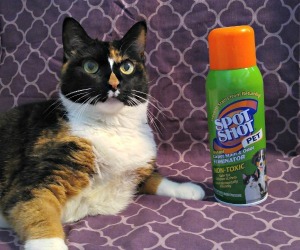 Have you ever taken your pet for acupuncture treatments? Tell us about your experience in the comments! What an interesting post! You can tell she is a veterinarian who really cares about her patients! Omg I can't even begin to tell you how much I love horses!!!!! I had 2 horses in my childhood, and I would LOVE to own some once again!!!! Oh really? How cool :) I've only been fortunate to go on a few horse ride trails as a child/teenager. It was fun though. That really was interesting and we just never though of horses have acupuncture. Thank you Camille! Unfortunately, I cannot take credit for that photo. But that's what stock photos are for I suppose? 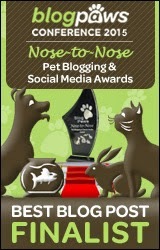 This is why I love pet blogs - I am always learning new things - new areas, and new animals (to me) Thank you for this!